Arts Letters & Numbers, Summer Residency! 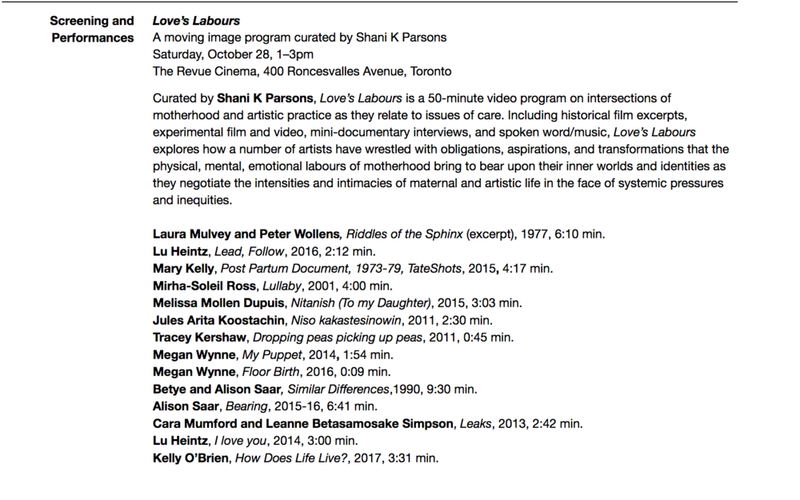 Despite well-documented actions and attempts by individual artists and collectives over the past 60 years (and longer) to dismantle patriarchal attitudes toward mothers/caregivers in the arts, little has changed with regard to expectations and pressures on art-working people who parent. Although attention to these issues seems to be increasing, the arts sector still functions on the assumption that everyone participating has unlimited time, money, resources and abilities to devote to the arts world’s success. This assumption is obviously not true for many people, including mothers/caregivers. The answer, when combined with the demands of daily caregiving, is often a catch-22: burnout or dropout. In this workshop participants will be presented with a brief overview of the mother-artist struggle through (art) history; focus on a few specific case studies to examine how others have negotiated these struggles in work and life; engage in writing and discussion regarding art-related resources, strategies and solidarities; explore the possibility of launching an ongoing group. This workshop is open to mothers/parents/caregivers who are also artists/curators/creative practitioners—and motherers of any stripe and kind. First CoLab performance from WARP was August 4th. Thanks for coming out and viewing work as art. Our collective textile based studio is located in Atlantic Mills in Olneyville RI. More documentation coming soon!